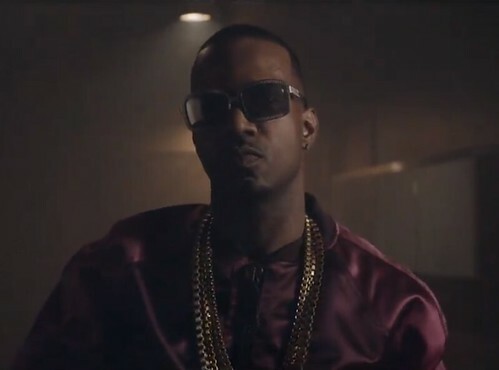 Juicy J is ready to make his solo debut this summer with Stay Trippy. Following prior pushbacks, Juicy J’s forthcoming album is set to release on August 27 via Taylor Gang/Kemosabe/Columbia Records. It includes the smash-hit “Bandz a Make Her Dance,” “Show Out,” and the newly released “Bounce It” featuring Trey Songz and Wale, in which its video will world premiere on BET’s 106 & Park and VEVO on Thursday, July 18. Announced in a press release, Stay Trippy will feature appearances from Wiz Khalifa, Justin Timberlake, Chris Brown, Lil’ Wayne, 2 Chainz, The Weeknd, A$AP Rocky, Wale, Trey Songz, Young Jeezy, Big Sean, Pimp C, Trina, Yelawolf, and Project Pat. Mike Will Made It, Timbaland, Lex Luger, Young Chop, Crazy Mike, Baby E, I.D. Labs, and Danny Boy lead the star-studded production. Can’t wait for the album, but it’s not his first solo album. He had Hustle Till I Die back in ’09. Juicy deserves to be number one, hell of an entertainer, rapper and personality. I would love to see Juicy’s collabo with Cam’ron, they seem very alike in a lot things!